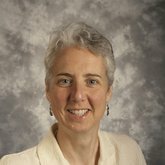 Ask questions related to strategic planning, program development, communication techniques, and managing operations for the pediatric palliative care program. What guidance do you have for communicating with families about palliative care services? How do you navigate subspecialty services (e.g., NICU)? Can you recommend first steps for funding a pediatric palliative care program?